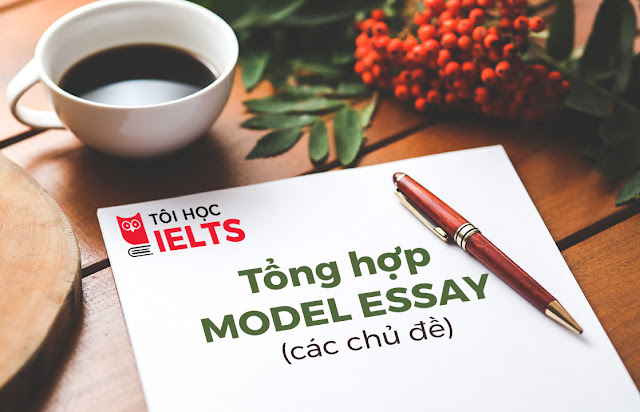 Tôi Học IELTS giới thiệu đến các bạn bài viết Model essay topic life style: Living in the city or in the countryside? 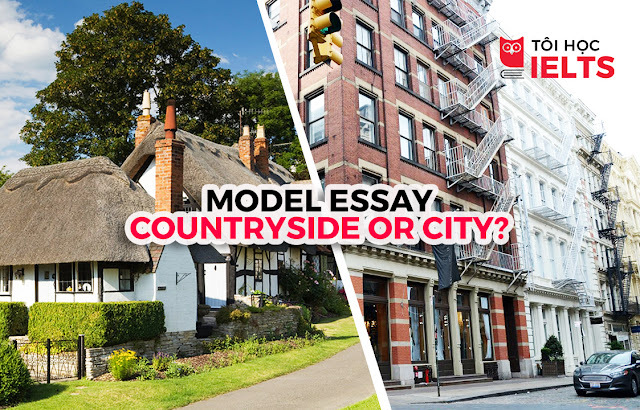 Question: Living in the city or in the countryside? Everybody usually ponder on living in city or countryside, but I'm certain that living in city is better. These are some important reasons which you want to live in city. The first point, there're many things in city, you can search simple things or luxurious things. There're many kinds of telecom service, for example: internet stations, cell phone offices, telephone offices, post offices, and so forth; there're many kinds of transport service, ex: taxi, airplane, train, motorbike taxi, and so on; there're many different services, for example: beauty salons, good hospitals, good universities, foreign language schools, coffee bars, supermarkets, book stores, and they're always near your house. Now, all the factories are transferring from city out to suburb, so the pollution will reduce. The next point, there're much foods, all the good foods in the world have been occurred in city. 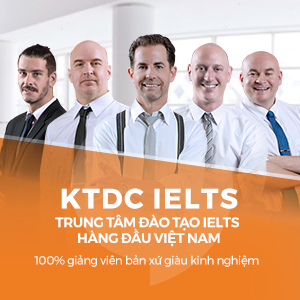 Especially in VN, you can eat everything, anywhere, from roadsides to the luxurious restaurants. Finally, if you aren't lazy, you can earn money easily in city where there are many jobs and many contacts waiting for you. You see, the millions people of countryside are migrating to city. Among of them, they have become the billionaires. In short, there is anything in city which is best convenience. Why don't you test to live in city? You'll agree with me completely.